Hello to all of you beautiful people! My name is Kelsey Provencio and I have been chosen as a Society Plus #FashionFreedom Ambassador. Make sure and check out SocietyPlus.com, where you will find the other 9 amazing blogging babes that are also a part of this beautiful campaign. Feel free to check out the #FashionFreedom page, where all of those beauties posts will be listed! My challenge as a #FashionFreedom Ambassador is to show off my legs. Today I am breaking three of these so called “fat girl rules”. I am showing off theses stems, wearing color AND wearing white. For as long as I can remember, I had been scared to try and rock any of those. I had been told that my legs were too big, I had been warned about wearing too much color or even putting on stripes. Doing any of these fashion trends would just make me “look bigger”. So, for the longest time, black was my go to color. It didn’t matter if I was in 100 degree weather, I would rather pass out from a heat stoke than even consider breaking any of these rules. Same look, different black shirt daily. One day, I just decided that I wanted to venture out of my comfort zone and try something new! I decided I’m not letting other people’s opinions dictate MY wardrobe. If I want to show off my legs or buy a bright green dress, I will. I want to be happy and self-confident and the only way that I could make this happen was if I didn’t care about these so called rules. From then on I have wore whatever I fell like, and let me just tell you, it feels amazing! 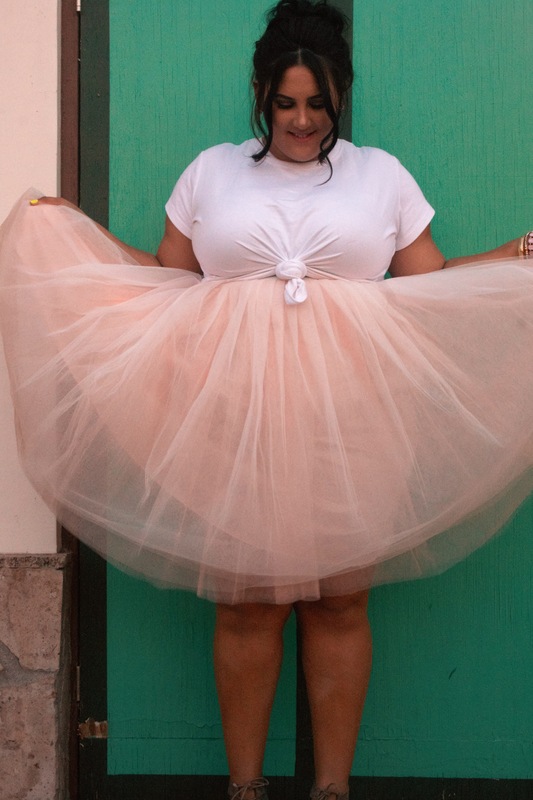 I love shopping and discovering that they make tutu’s for women my size. am a strong believer that Society Plus is genius for creating #FashionFreedom. The thought of empowering women to be themselves is beautiful. I stand with them for the simple fact that they want us to feel as beautiful and confident as we are. If you want to wear a crop top, they are that voice in your head telling you to go for it. We are real women with a love for fashion and style. Why let anyone try to control how we look? As long as we know that we look good, no other opinion matters. I challenge you to break the rules. Show your legs, arms and tummy! Wear white, wear colors, stripes and patterns! Wear what you define as breaking the rules. Then, take a picture of yourself. I want you, no I dare you to share that confidence and beauty on Instagram or Facebook using the hash tags #FashionFreedom and #IamSocietyPlus. Take the next step to feeling comfortable in your own skin and be the Princess that you were born to be! I would like to thank Society Plus for choosing me to be a part of this challenge. I would also like to thank them for encouraging me to dress how I feel and for creating amazing pieces, that not only boost my confidence, but also help me break the “fat girl rules”. Venturing out of my comfort zone, was one of the best decisions I have ever made. Here is my link to the Society Plus page, where my blog post will be featured. Make sure and show it some love! Click here! Society Plus Website: Shop here! Listed below are the other amazing blogging beauties that I mentioned earlier. Make sure and check out their sites. Next Post Things to do when you are stressed. I love this!!! You look so amazing and confident and I would totally rock that outfit. 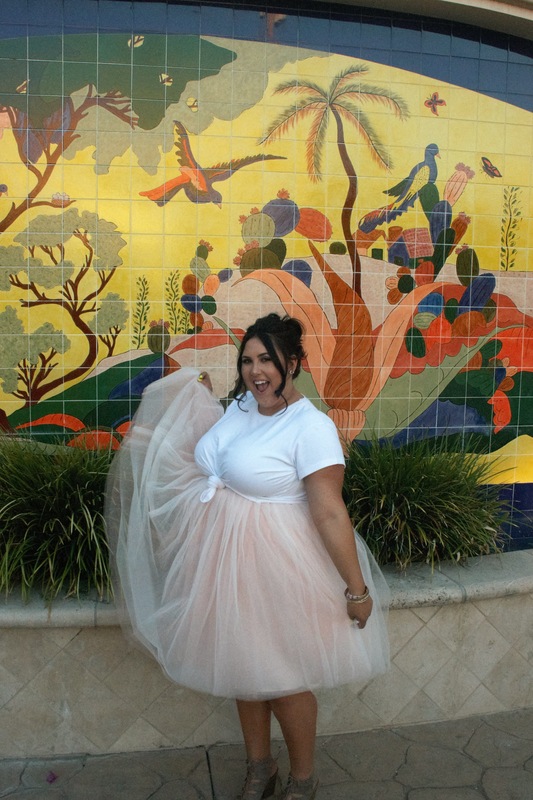 Breaking the rules as a plus size is something we must do (i’m a plus size too!) and we need to be and SHOW confidence while doing so! Thank you so much for your sweet comment!!! You can rock any look! Thank you so much! I’ll go check out your blog!